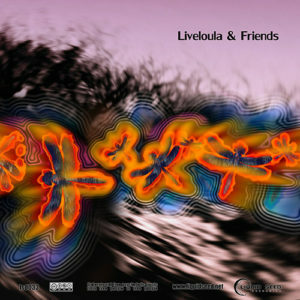 Liquidseed presents Liveloula & Friends, a collaborative collection featuring Liveloula (Maria Veniopoulou) alongside five artists from the Greek underground scene. This album fuses ambient, dub, electronic, and psytrance to create a kaleidoscopic musical experience in many different modes. Mastered by Acid Lagos except the track 3, which was mastered by Atrus. Photography by Liveloula and design by Angelo Zs. MP3 Download | FLAC Download | WAV Download · Download count: 5,795. Nice atmosphere and creativity indeed. Makes me think of “Psychedelic Salvia Trip Music (The Bread of God)” somehow. This is wonderful, and instantly one of my top fave albums I have discovered from Ektoplazm. I am going to listen to this many, many times over the years. Thank you so much for this music. I love it.